You’ve come to the right place for some fun! 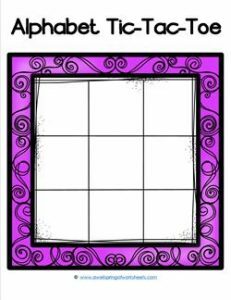 This pretty purple alphabet tic-tac-toe frame can be used alone or with the other colorful frames in this set. Use at home for some alphabet letter practice.